Need a Bankruptcy Lawyer in Westerville? Are you struggling with overwhelming and extensive debt? If so, debt settlement may be the best option for you. Debt settlement allows a consumer to work out a plan with the creditor or creditors who are owed the money. If you need the guidance or advice of a bankruptcy attorney in Columbus, Wood & Brewer, LLC offers competent and experienced assistance to our clients throughout the debt settlement process. Our goal is to help our clients reach financial freedom as soon as possible. Ready to talk with a Columbus bankruptcy lawyer? 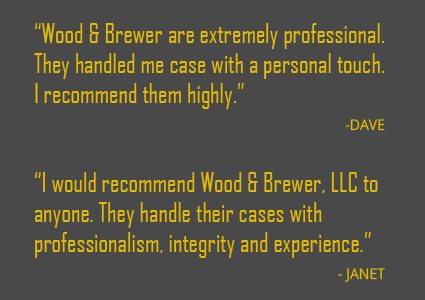 Call (614) 410-6878 for your free case review.